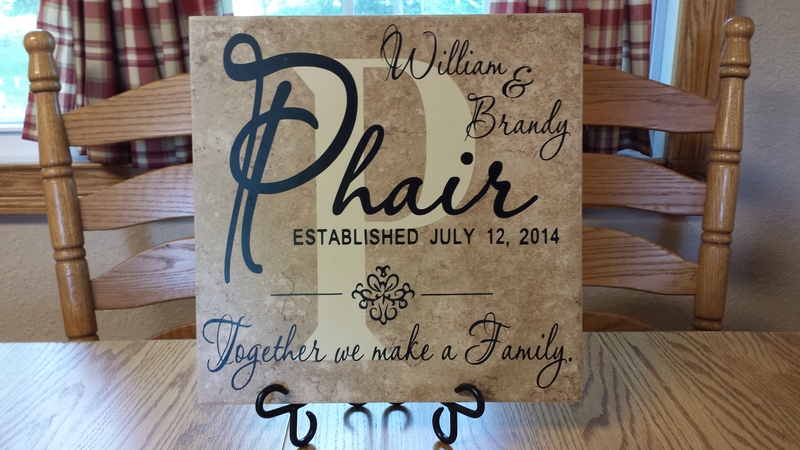 Together we make a Family – Named the “Spencer design.” Personalized tile with names, wedding date, and BIG light tan initial in background. This tile is named the “Spencer Design.” It is a 12″ personalized tile with big initial in background for $30; Black metal stand is $6. Please note: If the names you want to add are long names, we will do our best to get them situated on the tile so it looks good! We may have to put the first names on two separate lines. As always, we would be glad to email you a photo of your design before we cut it out to make sure you like the layout. Just let us know! 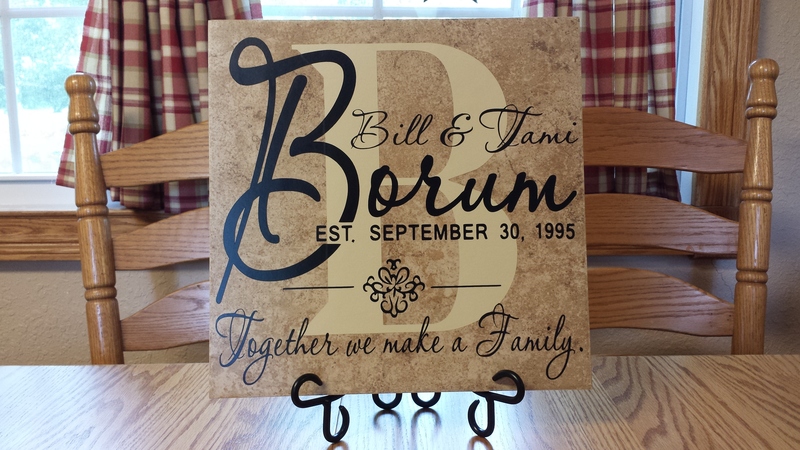 Another example of this design is attached: Notice the first names are on two lines instead of one line, and the date does not break through the last name like the “Borum” tile shown above. Each tile we make using this design will have to be custom fit with the names. Just send an email to: oreillytiles@gmail.com – with your list of names, and we’ll work on the perfect placement to make your tile look good!